The OWL410 is a 200mW Wi-Fi 802.11n/a device for long range wireless transmission. Its rugged IP68-rated metal housing is weatherproof, watertight and rust-resistant, making it an ideal solution for outdoor conditions or industrial environments. It supports multiple operation modes (AP/Bridge/CPE) and works well as a last-mile solution for wireless ISPs (WISPs). 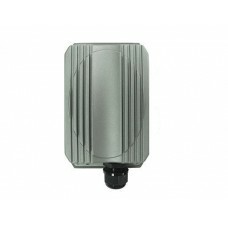 When in AP mode, OWL410 operates as an AP station with wall-penetrating high-power signal and long-range coverage to better serve Wi-Fi clients. In addition, it can be set up as a WDS node by establishing multiple WDS links to bridge neighbor access points together.